555 Pennsylvania Avenue, N.W. • Washington, D.C.
I’ve been told that there are 75 museums in Washington D.C., alone. If you have ever traveled to the District of Columba, you know firsthand the dilemma of trying to decide what to see among so many wonderful possibilities. This past summer, Al Erisman and I had the opportunity to visit the Newseum, a fascinating museum covering the world of news and media. The Newseum is a beautiful 250,000-square-foot museum that covers five centuries of news history through state-of-the-art technology and hands-on exhibits. It opened in its present location in 2008, moving from its previous location in Arlington, Virginia. Concourse level: Here you encounter eight complete sections of the Berlin Wall, as well as an East German guard tower. Also, on the concourse level is an FBI exhibit that features the Unabomber’s actual backwoods cabin. Level 1: This is where you eat, check your coat, and visit the Newseum store. The Annenberg Theater is located on this floor, and features a wonderful 3-D film covering the history of news and media. The film is arresting, as is the exhibit next door that showcases a wide array of Pulitzer award-winning photos. Level 2: Here you will find an interactive newsroom that is fun for kids. I had to pull Al away from playing anchorman. On this level, we also visited the interactive Ethics Center. Based on your answers to news-oriented ethics questions, the exhibit’s kiosks adjust their responses by playing archived video interviews of leading journalists in the field who offer commentary on your particular viewpoint. We found this to be a great way to wrestle with tough questions that don’t always have clear right and wrong answers. Level 3: This floor covers the history of Internet, TV, and radio news, and tells the story of American journalist, Edward R. Murrow. There is also a poignant memorial honoring the lives of journalists who have died while covering their stories. Level 4: Here you can step inside Tim Russert’s NBC bureau office, tour a First Amendment exhibit, or visit the 9/11 gallery. You can also watch a film called The President’s Photographer, which offers behind-the-scenes images of what it is like to live and work as the president of the United States. Level 5: On this floor, there are galleries that cover 500 years of news history, as well as some of the greatest books ever written on political thought and action. The Magna Carta is featured, as are The Federalist Papers. Some of our most iconic newspaper headlines and front pages are also displayed on this floor. Level 6: With a panoramic view of the U.S. Capitol, the National Gallery of Art, the National Archives, and the Washington Monument, this floor plays host to current news and headlines. More than 80 newspapers worldwide are displayed daily, offering a real-time glimpse into our interconnected, yet culturally diverse, world. 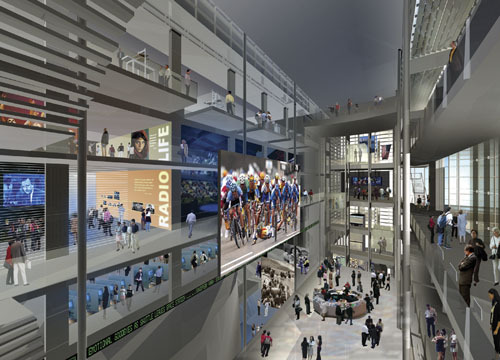 If you are in the Metro D.C. area, be sure to pay the Newseum a visit. There is more than enough to interest the entire family. 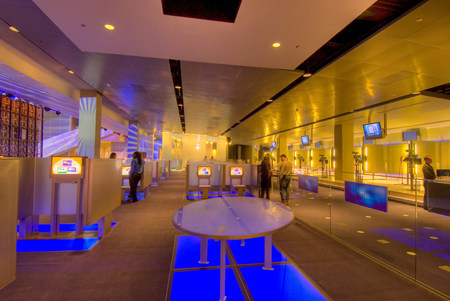 Walking through the exhibits will demonstrate in striking fashion how quickly the world of news media is changing. The experience will also pull on your heart strings as you relive significant days of your own past in which tragedies and triumphs that shaped our world were experienced though the news.